1. N.G. Moschonas: In memoriam of Spyros Asonitis. 2. Βάιος Βαϊόπουλος: Βιοεργογραφία Σπύρου Ασωνίτη. 3. Kaiti Diamantakou-Agathou: Euripides versus Aristophanes, Ion versus Birds. A possibility of “paracomic” referentiality*. 4. Susan O. Shapiro: Love and War at the Ends of the Earth (Catullus 11). 5. Spyridon Tzounakas: The Gladiatorial Exemplum in the Peroration of Cicero’s Pro Milone. 6. Tziona Grossmark: Marble as Building Material in Rabbinic Literature. 7. Panteleimon Tsorbatzoglou: St. Theodore, Archbishop of Canterbury, (668-690 AD). A Greek from Tarsus of Cilicia in England: Some Aspects of his Life. 8. Georgios Theotokis: Geoffrey Malaterra as a military historian for the Norman expansion in Italy and Sicily – strengths and weaknesses in his narrative. 9. Carmel Ferragud: La práctica de la medicina en una frontera. El establecimiento de un sistema asistencial en Alcoi y Cocentaina (Reino de Valencia) durante los siglos xiii y xiv. 10. Benigno Casale: Medici amalfitani del Medioevo. 11. Alfonso Leone: L’Estartit i Barcelona (1356-1359). 12. Maria Antonietta Russo: Pietro Luna: uomo di Chiesa, di potere e arbitro delle sorti familiari. 13. Sandra Bernato: L’artesania textil de Girona (1454-1458). 14. Βασίλης Πριόβολος: Ρητορική τέχνη και μουσική στην εποχή μπαρόκ. 15. Βασίλειος Λ. Παππάς: Η λατινική μετάφραση του Α΄ Ολυνθιακού Λόγου του Δημοσθένη από τον Καρδινάλιο Βησσαρίωνα. 16. Pasquale Natella: La dieta mediterranea. Un’introduzione storica fra medioevo ed età contamporanea. 17. 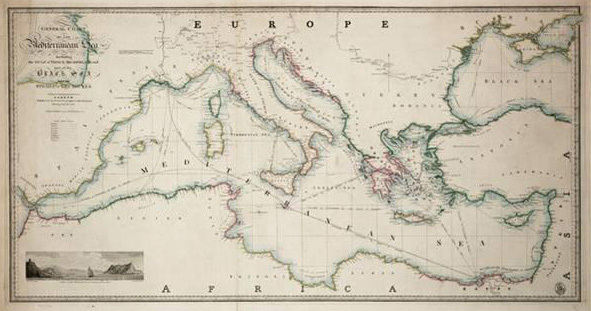 C. Tsiamis, E. Poulakou-Rebelakou, D. Anoyatis-Pelé: Sanitary Legislation and Public Health measures in Ionian Islands during the British Protection (1815-1864). 18. 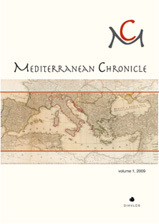 Etolia Ekaterini Martinis, Spyros Moschonas: Configuring the Identity of a Sea-Fighting Nation. Modern Greek Paintings depicting Naval Battles in the Hellenic Maritime Museum. 19. Book reviews. Shorter notes.